This concave Android phone is the follow-up to the 2013'sLG G Flexand, while it bends the same way, it has new dimensions and a much better display that make it less of a gimmick. 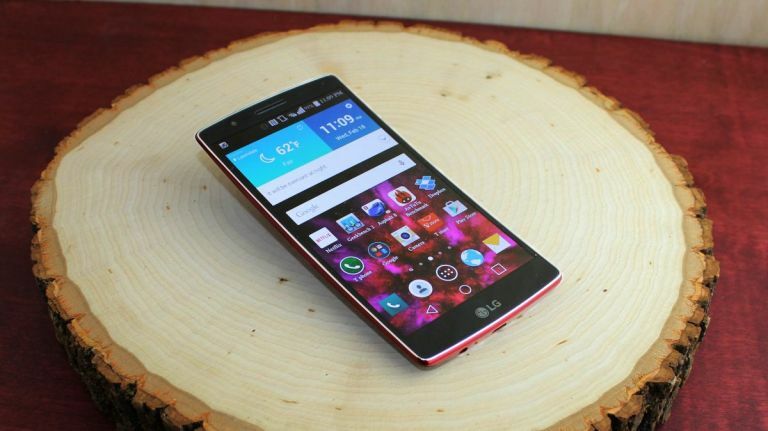 The LG G Flex 2 is noticeably smaller and easier to hold, with a 5.5-inch screen which matches the display size of the LG G3 – the first version had six inches. Going with that new, more manageable size is a high- resolution P-OLED touchscreen that's 1080p, up from the decidedly deficient 720p display of the original. The phone's main processor is the latest Qualcomm Snapdragon 810: a 64-bit, octa- core system-on-a-chip with a clock speed of 2.0GHz. This blazing-fast CPU is combined with 2GB of RAM and an Adreno 430 graphics chip that's 30 per cent faster than the GPU in the original G Flex.In short, it's pretty damned powerful stuff. In a year and a half since the LG G Flex first launched, things have changed. Apple's “BendGate” controversy became worldwide news, and now everyone's mum and dad on their family plan has begun to worry about their phones breaking in their back pocket. That's still not reason enough to spring for a curved, flexible phone, though. Instead, the more important development has been the significant specs bump found within the new LG G Flex 2, together with the improved screen. The jury is still very much out as to whether curved stuff – phones, TVs and who knows what else – are actually necessary. More manageable in the hand, with an improved display and super speedy self-healing back - there's a lot to like about the LG G Flex 2. It's not small and it won't be cheap, but you'll be getting an unique device which you can show off to all your mates with scuffed up iPhones. Suckers. Thankfully most of the perks have to do with the specs, which are very similar to the LG G3. It doesn't just rely on the curve this time around and is a lot better for it.